I personally still cannot believe that Thanksgiving is literally only 2 days away. And in true busy body form, I’ve packed in a few last minute work trips right before the holiday hits, so I’m currently living out of a suitcase at the moment. As of typing this, I’m sitting in my room at the Fairmont in Vancouver overlooking the Lions Gate Bridge and a very dark water front — the lights are still twinkling across the bay, as the sun hasn’t quite come up yet. And this is why I’m a morning person — the peace and quiet at this hour is irreplaceable! But! Back to Thanksgiving. 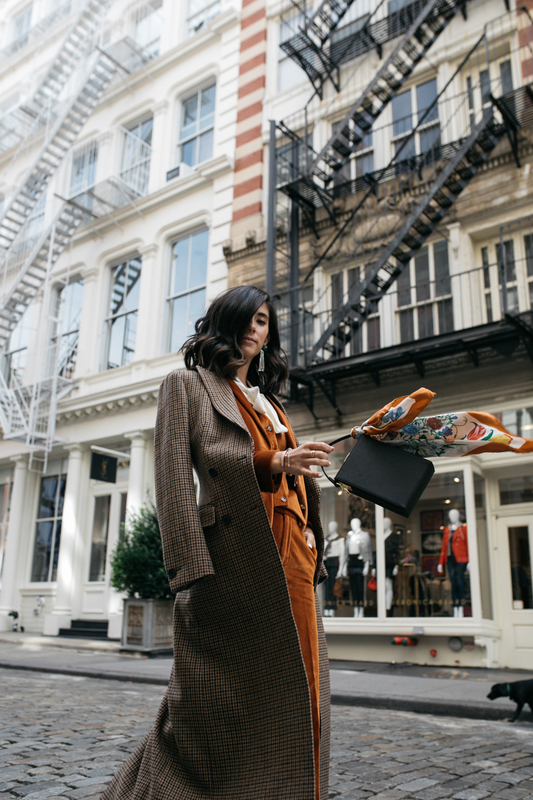 If you’re like me and cannot be bothered with fussing too much over what to wear this year, I’ve put together some quick and easy 5 outfit combos, involving pieces you undoubtedly already have in your closet at the moment. The key is paying attention to proportions, color schemes and textures that you may already have, but of course, you may be able to hit “express shipping” for some of these if you really need it before Thursday rolls around! There's always one guest at Thanksgiving that takes 'family casual' and decides to throw on a fabulous dress or better yet, suit, instantly making everyone rethink their current wardrobe choices. While I don't support rubbing your outfit in your family's face (it's Thanksgiving after all! ), I tend to be a fan of dressing up for this holiday as opposed to dressing down. The key is making sure you have comfortable elements to fall back on. 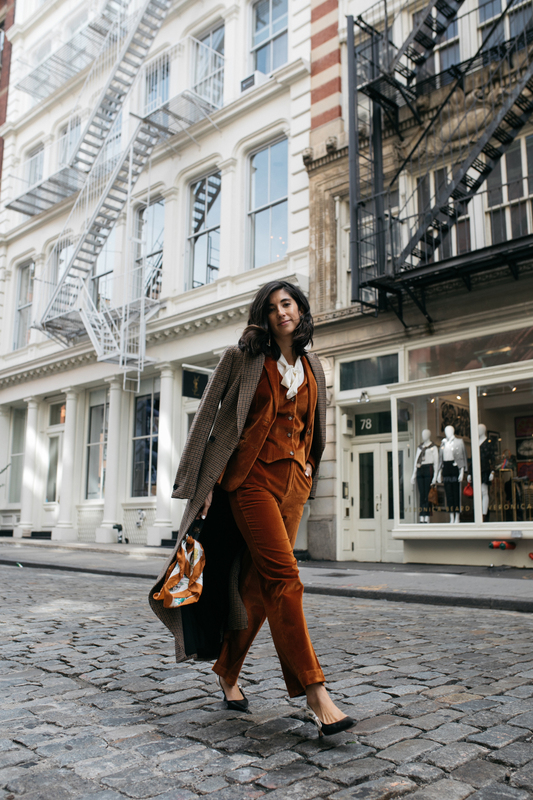 This suit is a winner in my book as the trousers are roomy and you can wear all three pieces a variety of ways. Plus, the color is oh so perfect for this time of year, right? 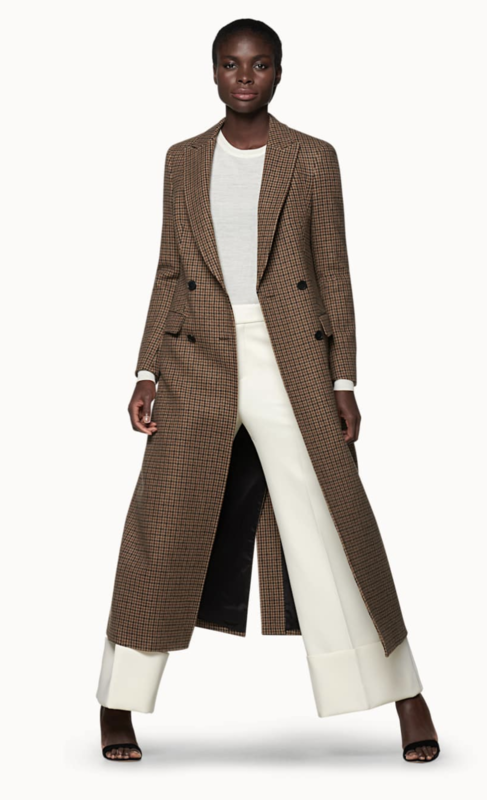 Top off the outfit with a dramatic sweeping coat, because, let's give them something to talk about, shall we? Just make sure you're bringing a surprise bottle of wine for your host underneath that jacket! It's true what they say: not all sweater dresses are created equal. But the key is to find one that works for you. Length is always tricky with these guys, especially if you're a lounger like me, but I love where this particular dress hits -- it would be perfect with a pair of over the knee boots. But in all honesty, it comes dow to the details for this dress for me -- the pom pom balls are adorable and the dramatic sleeves have all the drama where you want it -- higher on your arm so you avoid any awkward 'I just got my sleeve in the yams' moments. I'm all about a good burgundy boot these days and I think it looks so lovely with dusty pinks. Sweet, demure, with a dash of mod. 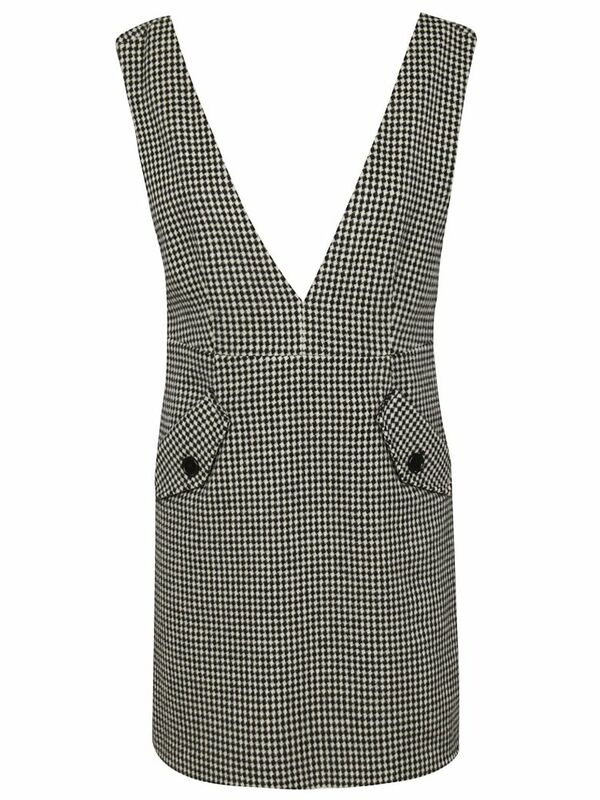 I love the idea of a pinafore dress for Thanksgiving and actually wore this exact dress while we were in Madrid, museum hopping. It was so comfortable and the silhouette is meant to be boxier, meaning you won't feel constricted when pumpkin pie gets passed around. 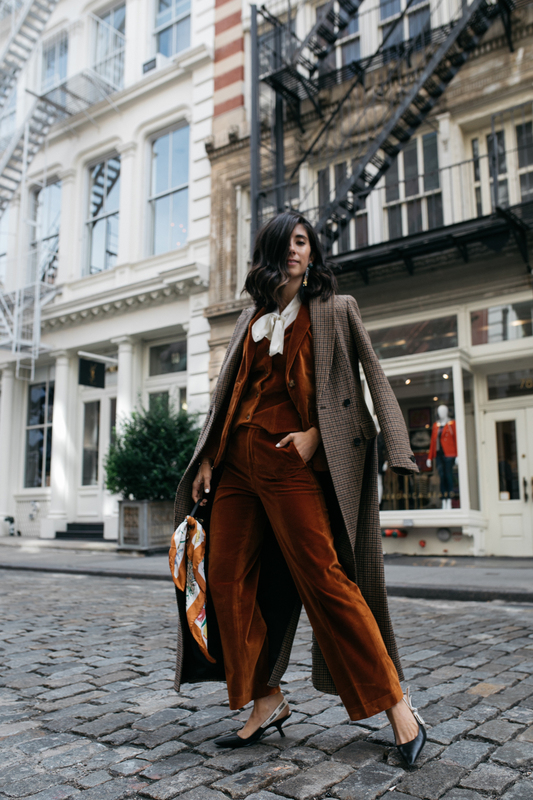 Layer a turtleneck underneath, perhaps some tights and boots or oxford flats, and you're ready to roll for seconds! 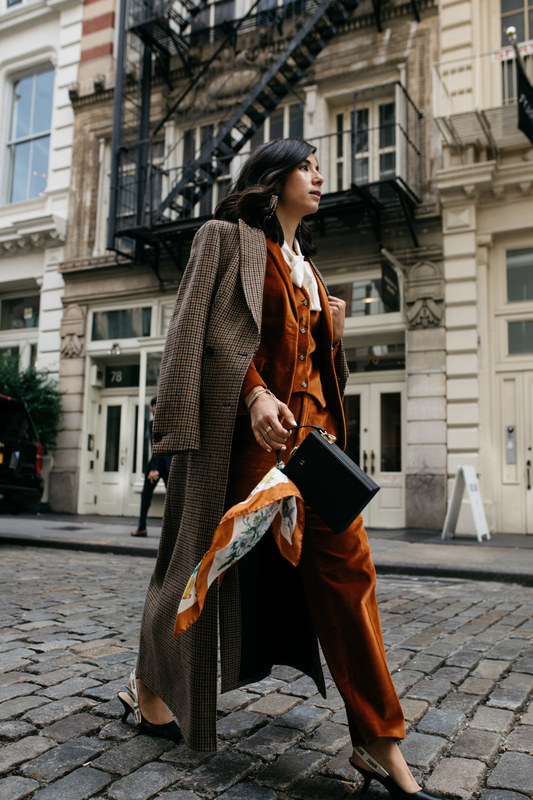 Each fall season, I stock up on easy layering turtlenecks like this one -- perfect way to add warmth and an extra layer of intrigue to any outfit. 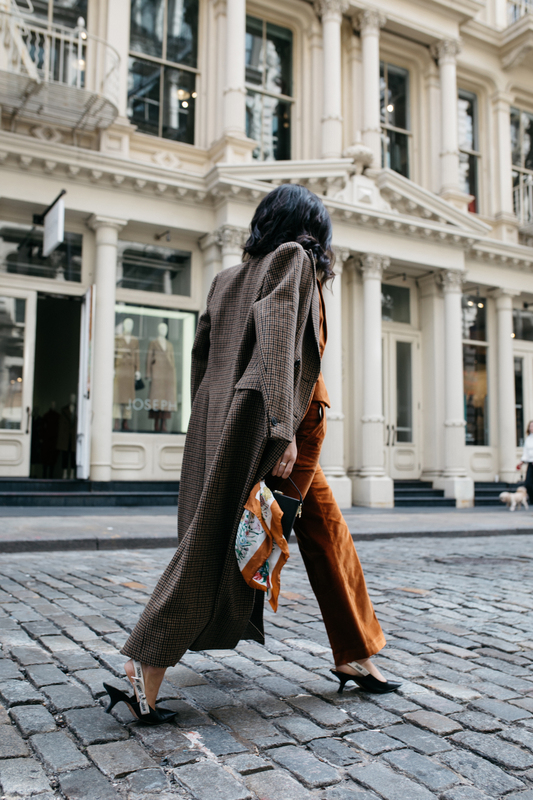 Under dresses, blazers and even under other sweaters. 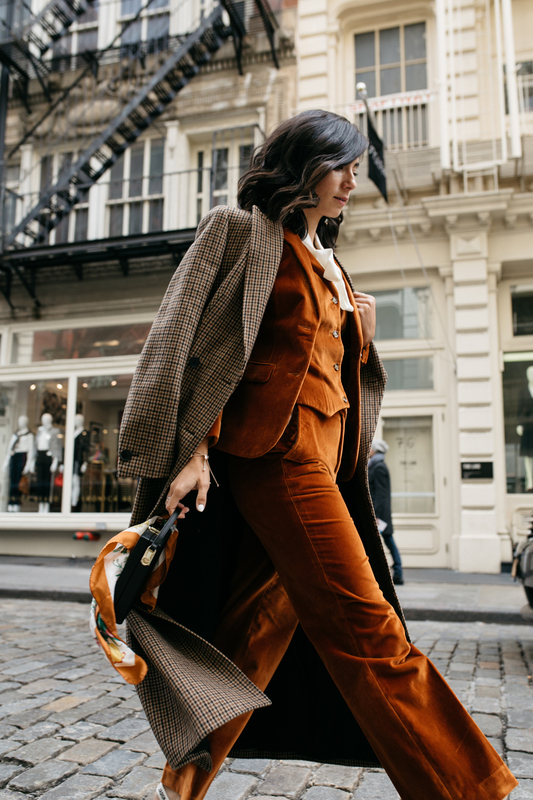 This combination is a no-brainer for the holiday season but try shaking up your favorite button down sweater and wear it backwards. 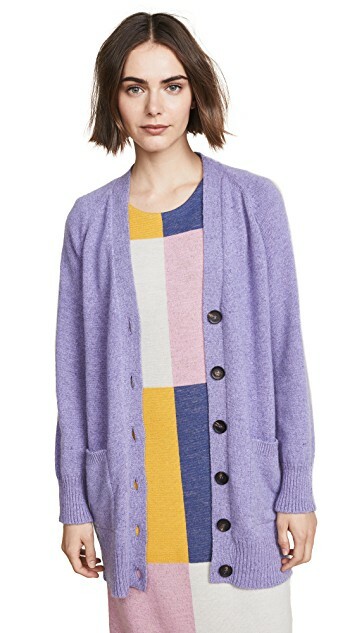 Look for the cardigan in your closet that has a V-neck preferably and perhaps one with some fun button details. Voila! You've just transformed your favorite jean and sweater combo into something conversation starting. 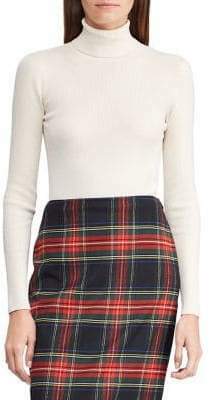 High waisted and cropped? Where do I sign? 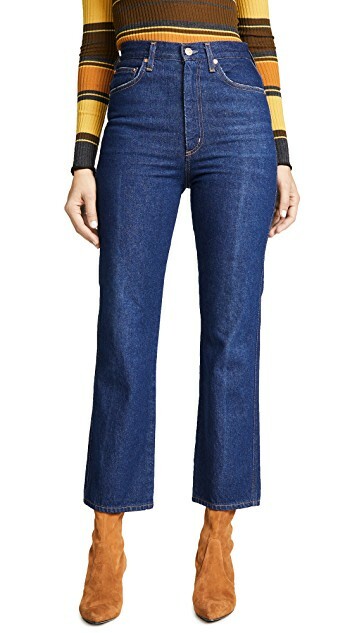 I love this pair by Agolde and may be pulling the trigger on them soon, but in the meantime, I think a great pair of vintage inspired jeans in your closet would look amazing with your cardigan turned backwards -- the high waist will make it easy to tuck in and achieve that perfect slouch that you can hang in all day. 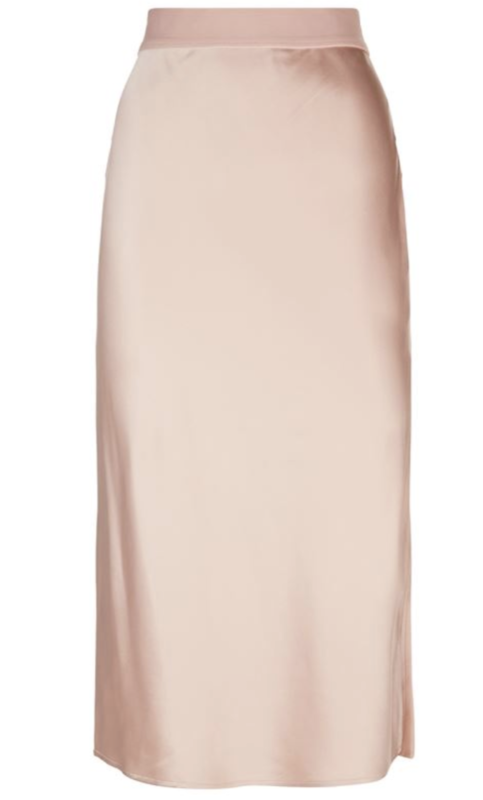 The silk slip skirt -- try saying that three times fast! You all know I love this combo -- it's feminine, it's classy and best part -- it's SO COMFORTABLE. Pair it with your favorite oversized chunky knit sweater and pair of kitten mules and your a holiday vision! 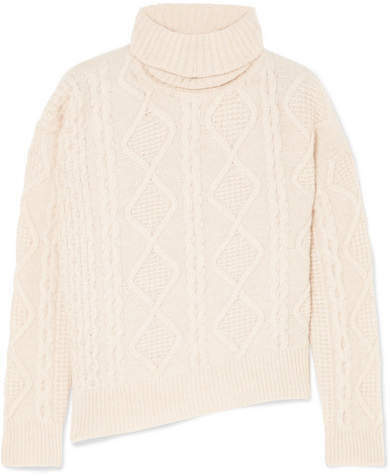 So question: is there such a thing as having too many cream turtleneck sweaters? Asking for a friend. 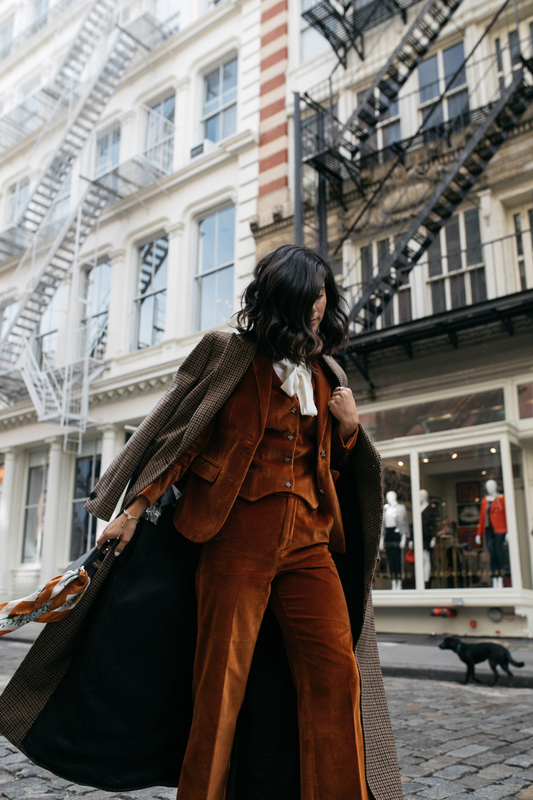 Style and fall, fall outfits, fall style, new york city, nyc, plaid coat, suits. 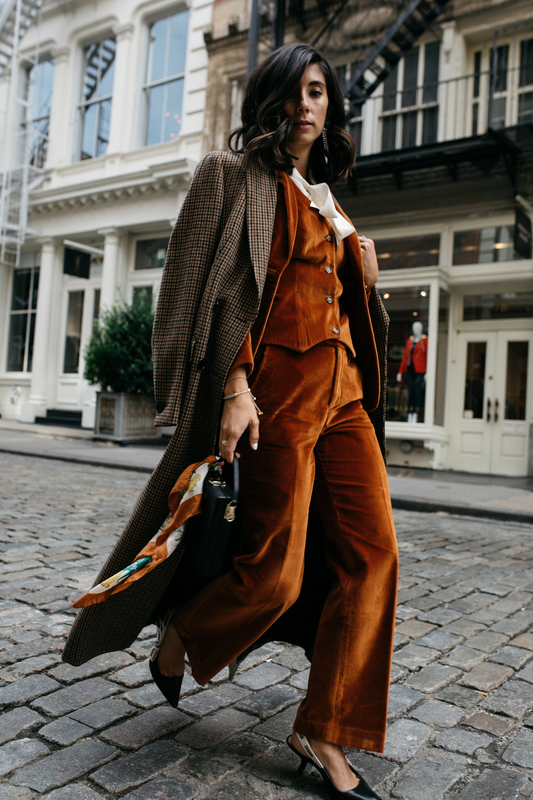 You look so beyond chic in this outfit, it’s making me want to buy it all right now!